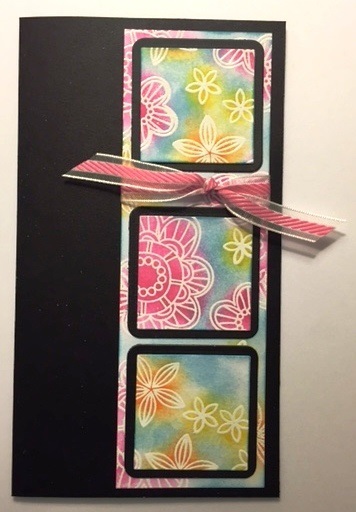 Below is a card I made for the Simon Says Wednesday Challenge, inspired by Nichole’s June 2016 Card Kit/Embossed Resist Flowers YouTube video. I don’t need to provide details regarding the technique for this card because you can all just watch the Simon Says YouTube video by Nichole; she does a great job demonstrating this technique. The only thing I will reinforce is applying the Anti-Static bag to the cards stock prior to embossing…it allows for a much cleaner embossed image. I really enjoyed using this Embossed Resist Flowers technique and hope you try it too.